What are dental cleanings and why do we need it? 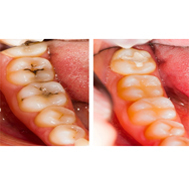 Dental cleanings involve removing plaque (soft, sticky, bacteria infested film) and tartar (calculus) deposits that have built up on the teeth over time. Your teeth are continually soaked in saliva which contains calcium and other substances which help strengthen and protect the teeth. While this is a good thing, it also means that we tend to get a build-up of calcium deposits on the teeth. This chalky substance will eventually build up over time, like limescale in a pipe or kettle. Usually it is tooth coloured and can easily be mistaken as part of the teeth, but it also can vary from brown to black in colour. The professional cleaning of teeth is sometimes referred to as prophylaxis.It’s a Greek word which means “to prevent beforehand” – in this case, it helps prevent gum disease. The dentist uses specialized instruments to gently remove these deposits without harming the teeth. The instruments which may be used during your cleaning, and what they feel like, are described below. Commonly used first is an ultrasonic instrument which uses tickling vibrations to remove larger pieces of tartar loose. It also sprays acooling mist of water while it works to wash away debris and keep the area at a proper temperature. The device typically emits a humming or high pitched whistling sound. This may seem louder than it actually is because the sound may get amplified inside your head, just like when you put an electric toothbrush into your mouth. Once the larger pieces of tartar are gone, the dentist will switch to finer hand tools to remove smaller deposits and smoothen the tooth surfaces. These tools are curved and shaped to match the curves of the teeth. They allow smaller tartar deposits to be removed bycarefully scraping them off with a gentle to moderate amount of pressure. Just like taking a scrubbing brush to a soiled pot, the dentist has to get the areas clean and smooth. Once all the surfaces are smooth, the dentist may polish your teeth. Polishing is done using a slow speed handpiece with a soft rubber cup that spins on the end. Prophylaxis paste – a special gritty toothpaste-like material – is scooped into the cup and spun around on the teeth to make them shiny smooth. Most people find that cleanings are painless, and find the sensations described above – tickling vibrations, the cooling mist of water, and the feeling of pressure during “scraping” – do not cause discomfort. A lot of people even report that they enjoy cleanings and the lovely smooth feel of their teeth afterwards! There may be odd zingy sensations, but many people don’t mind as they only last a for seconds. Be sure to let your dentist know if you find things are getting too uncomfortable for your liking. They can recommend various options to make the cleaning more enjoyable. Painful cleaning experiences can be caused by a number of things: a rough dentist, exposed dentine (not dangerous, but can make cleanings unpleasant), or sore gum tissues. In case you may have had painful cleaning experiences in the past, switching to a gentle dentist can make a difference. You could also choose to be numbed. 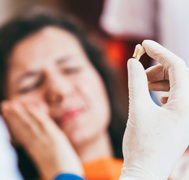 If you find the scaling a bit uncomfortable because the gum tissues (rather than the teeth themselves) are sensitive, topical numbing gels can be used. Fluoride is a mineral that could be naturally found in almost all foods and water supplies. It is one of the most effective agents to help prevent tooth decay, known for years. Your dentist may also apply fluoride. Fluoride comes in many different flavours such as chocolate, mint, strawberry, bubblegum, cherry, watermelon, pina colada for a great taste sensation! Make no mistake though, this in-office fluoride treatment is meant for topical use only on the surfaces of the teeth and swallowing excessive amounts can give a person a tummy ache as it is not meant to be ingested. Why you might need Fluoride Treatment? Fluoride Treatment is recommended for all individuals (Adults & Children) to have and should not be restricted only to children. Remember, only fluoride treatment is not enough to maintain good oral health. It is also important to keep good oral hygiene, involving regular brushing of teeth, flossing and proper diet, as well as visiting your dentist on a regular basis. If you would like to consult a dentist for your teeth scaling and polishing in Dubai, please do contact our team of experinced dentists and we will take care of your needs be it routine dental cleaning or teeth scaling & polishing or flouride treatments for your teeth, we will take care all of them to give your smile an uplift to make it a beautiful smile.